Vallarpadam is an island surrounded by water on all four sides and is connected to Ernakulam by bridges. Located at Vallarpadam on the High way connecting Marine Drive and Vaypeen. Right across the Vallarpadam International Container Transhipment Terminal (ICTT) run by Dubai ports (D.P.World). 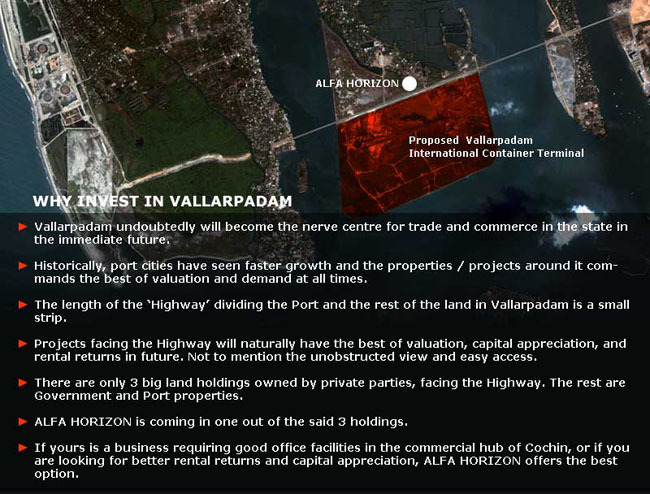 The port based SEZ(Special Economic Zone) at Vallarpadam is on the Eastern side of the proposed project. The Rs.4,500 crores Petronet L.N.G project is located in Puthu Vaypeen.Close to Marina, Five star Hotels, Convention Centre , and Marine Drive. 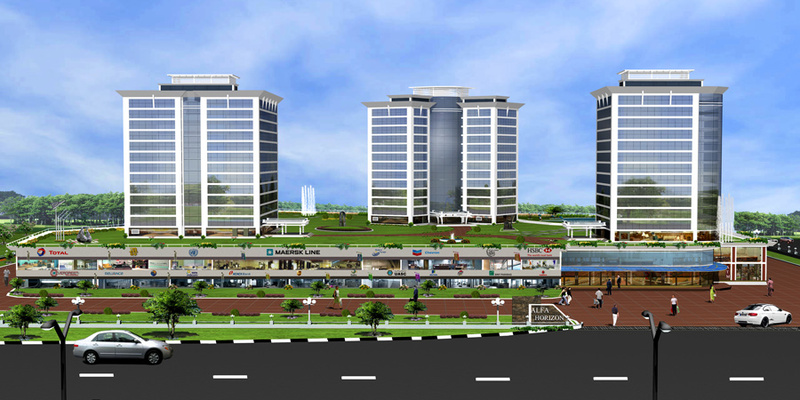 Tremendous demand for quality office space expected , once the Port functions are in full swing and other projects are operational.Conceived as a Modern Office Project with features and amenities matching International Standards. Ideal for Shipping, Clearing & Forwarding,Export & Import, Banking, Consulting & other modern Offices. Tower 1 Modules of 1000 sqft,1775 sqft, 1950 sqft and 2375 sqft on each floor. Tower 2 Modules of 450 sqft and 900 sqft on each floor. Tower 3 Modules of 1000sqft,950 sqft and 720 sqft on each floor. Podium level Modules of 1000 sqft,900 sqft and 450 sqft. 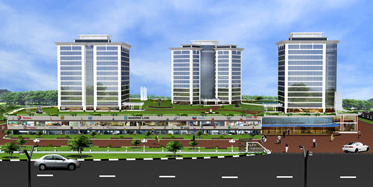 First Floor Offices : Modules of 2300 Sqft and 3000 Sqft. 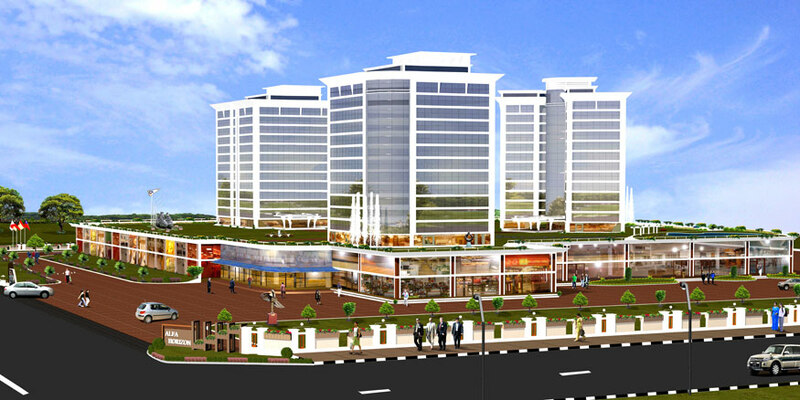 Ground Floor Showrooms : Modules of 2600 Sqft and 3000 Sqft. 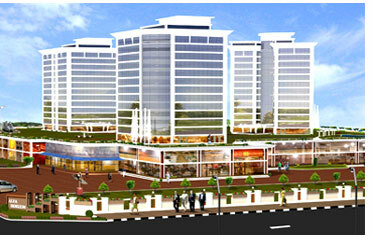 In 5.37 acres of land with a total built up area of 5.7 lakhs sq.ft. Above 1,000 Car Parks in 3 levels. Food Court, Club house, Fitness Center, Swimming Pool & other Amenities.